The last few months I was working on my E-HERMS and control panel brewery build. I hope that this will help some people to make the move and brew electric. I LOVE the SSR power control. I'm in the middle of converting mine over from 110v to 220v. I am definitely going to incorporate this in my rebuild. Great idea, brother!! Just so I understand correctly, you're not using a PID on the boil kettle. Just the regulator. I assume you crank it to 100% and then dial back after you get a good boil going? Right, I use 100% till it boils and dial back to about 70% to keep a good boil. You can do this on a PID also, just enable manual control. Normally called 'hand'. I'm happy to share my latest project with you. 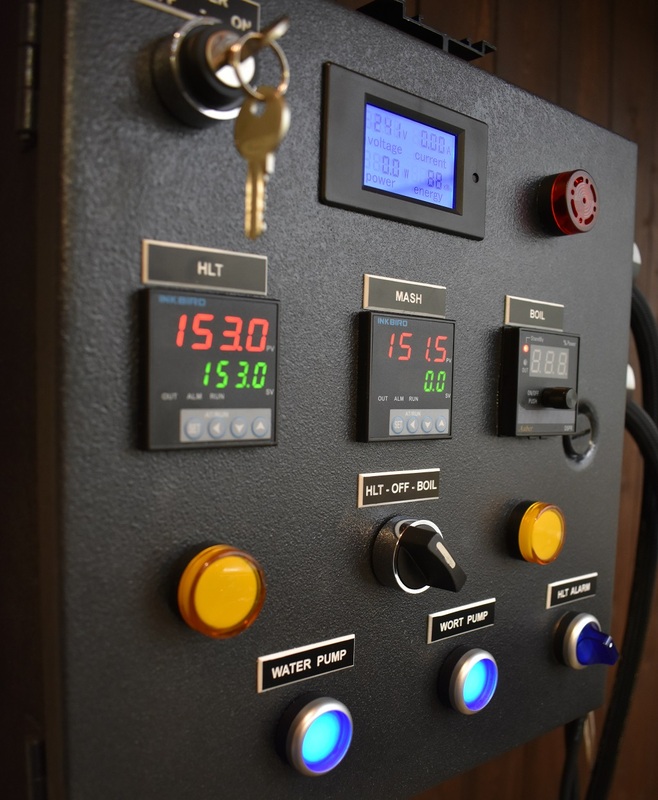 This control panel is a multipurpose brewing controller. It’s powered by 240V / 30 AMP and can run 2 pumps and a 5500-watt heating element. It has a mash/boil controller with integrated timer and buzzer. The AiONE controller does it all. 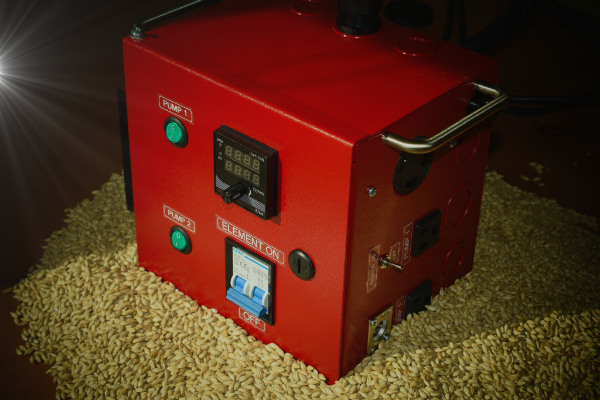 BIAB, RIMS, or even a full-scale HERMS, this controller will handle it.